Half of the house is/was/still sick. Hubs was out of commission for two days. He had the sinus crud. He ran fever and for the past two days he did nothing but sleep. R2 caught a virus and was throwing up. At one point it was coming out both ends. I know you were just dying to know that information. He hasn't been able to keep anything down. We tried soup, crackers, toast, sprite, water, and Gatorade. He did manage to keep down some butter rice and a few sips of Sprite but that was pretty late last night. I have washed all of the throw blankets. Changed all of the sheets on all of the beds. I even hosed down the living room in Lysol. I really should purchase stock from Lysol with as much as I have used over the past two days. I have wiped counter tops and door knobs with so many Clorox Wipes I should purchase stock from the as well. 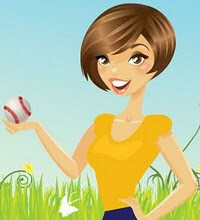 I'm hoping that everyone is better by the weekend because opening day for the boys. And I've got my shirt ready. It just happens that both boys are playing for the Cardinals this year. So I had a friend make this shirt for me. I love it. Now off to find my hazmat suit and a fresh can of Lysol. I hope you don't catch it!!! I hate a stomach virus more than any other sickness!! YUCK!! Hope everyone is feeling better! 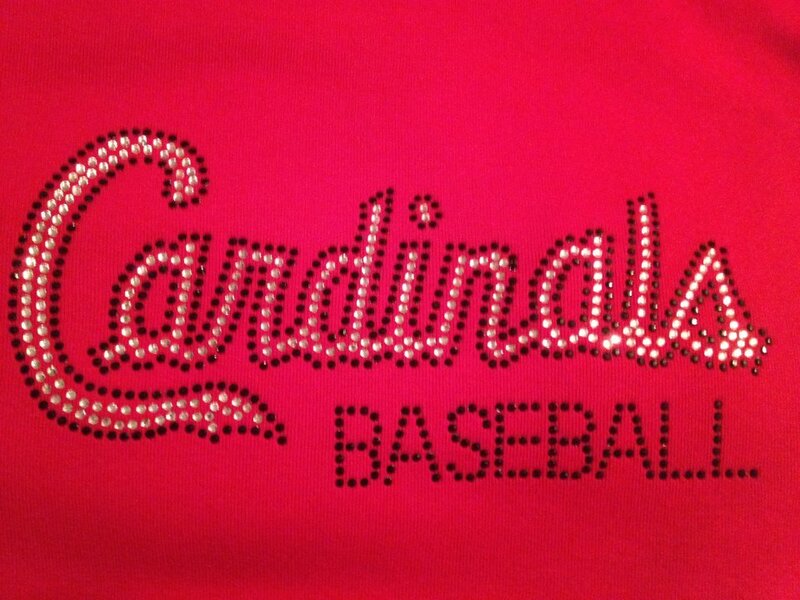 My boys were Cardinals in Little League too! Wishing them a KILLER season! hopefully mama says well so that you can take care of all your sickies! Hope everyone is better soon. 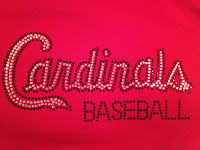 Love the Cardinals shirt! Oh no! Are things any better?